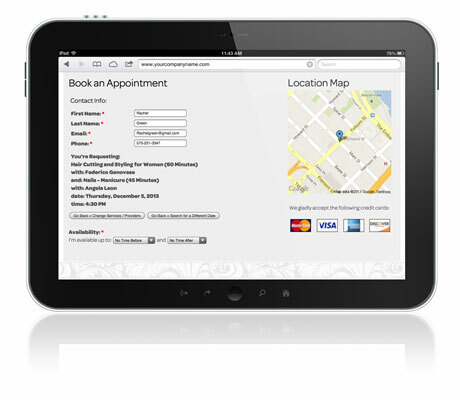 Easy, convenient booking for individuals or a full service salon and spa. Clients can browse services, providers, and availablilty then book online anytime. Choose between live calendar booking or request & response mode. Use what works for you and your business. 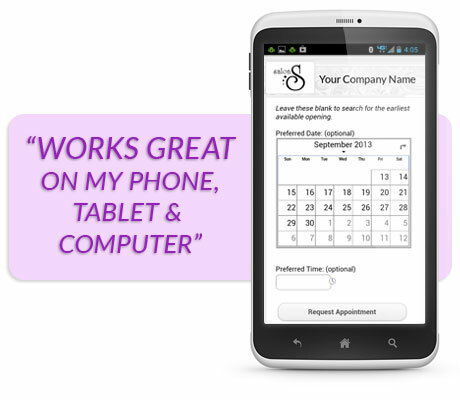 Booking works on computers, tablets and mobile phones with your free mobile website. View, edit and add appointments anytime with ease. 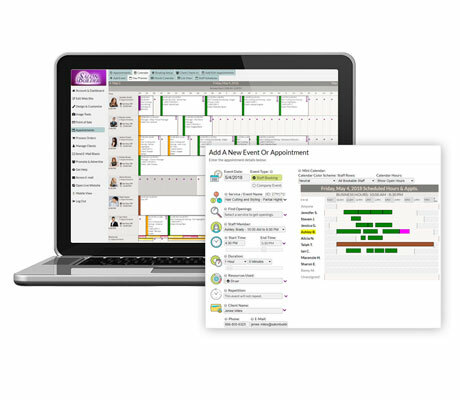 Assign chairs, rooms, and resources plus buffer times so you never over-book. Choose your setup, with custom time intervals, color themes, and day or month view. Staff login accounts give each service provider their schedule and editing tools. Add breaks, time off, holiday scheduling and special events. Keep track of their interest for email marketing and special offers. 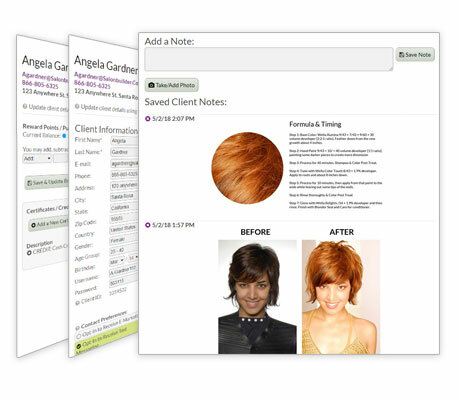 Record styling preferences, photos, color formulas, and more with client notes. Keep track of client rewards and easily add new points or assign them Gift Certificates. 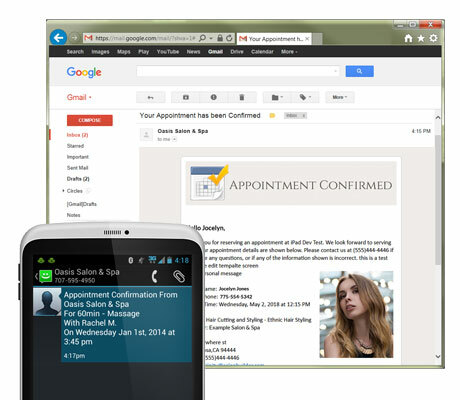 Use Voicebox to send non appointment related SMS text messages to your clients. Give your clients the reminders they need! Choose from Email, Text, Phone or all three. Send email confirmations, appointment reminders and cancellation notifications. Text reminders automatically go out 1-2 days before each scheduled appointment. Automated reminder calls have customer cancellation option. You may also send a 'Thank You' text after each visit. Customize your email reminder templates and thank you notes. I appreciate your help as usual! As for general traffic, I am getting a really good response so far... my email box is filled daily with questions and appointments. The Guest Book is looking really good as well!! I absolutely love this website. Thank you again... -Jennifer R.
Whether you are a booth renter or self employed, a small boutique or a large salon and spa, a nail center or resort spa we have the perfect system to meet your needs. Choose to use the system the way you want. Easy tools that anyone can use. Secure processing to keep you and your clients safe. Modern interface that works with mobile devices. What more could you ask for? With our VIP support you will get the help you need when you need it. With the Concierge option setup is a breeze and you will have expert advice on the best way to use the Booking and Client tools.